We Serve Fresh Food Prepared with High Quality Products. 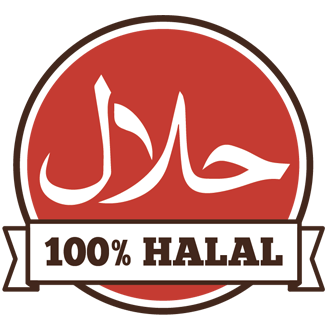 All our products are HALAL and are certified by the ISNA. 2 Skewers of Kafta served on a bed of rice with your choice of sauces ( garlic, hummus, tzatziki or tahini). Vegies extra. Fresh beef burger served on a sesame bun with ketchup, mayo, lettuce, tomato, onions, side of fries and a can of pop. Your choice of 2 chicken shawarma or gyro wraps with 2 cans of pop. Babaz restaurant was founded in 2008, and serves authentic middle eastern food in London Ontario. Babaz offers delicious shawarma, falafel and other tasty Middle Eastern cuisine to the London area. Our friendly and exceptional service is one of the many reasons our loyal customers keep returning. Today was my first time trying this restaurant and honestly am so amazed with the great food they have. I really enjoyed it a lot and for me it was perfect. also they r nice and friendly staff. So wish u all the best guys. Best shawarma in town, from the service to the food! Everyone and anyone would enjoy this place !! Designed & Developed by MakkiWeb.